We'll set up our mobile studio in your business or home. 360 Media 4U works with each individual to ensure they are completely prepared. 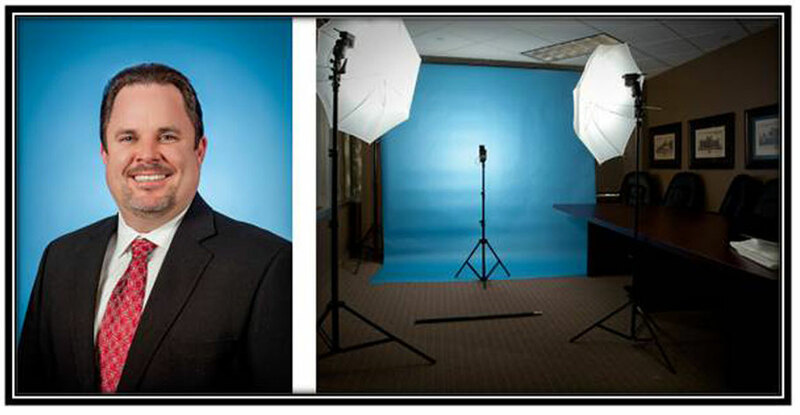 Our clients receive a detailed checklist of tips to help them receive a professional portrait. - Clients will receive proofs within 3 days. - Additional photos can be purchased at a discount price. - Professional prints are available per your request. - Travel & setup fee will be included with your quote. - Travel outside of 50 miles is subject to a small fee. Let us know what kind of look you want, Head & shoulder or Head to waist. Drink lots of water and be well rested so your eyes will not have dark circles. Wear clothes that make you look great. Make sure your jacket and shirt fit you well. Sleeveless tops/dresses can draw attention to your shoulders/arms. Shinny jewelry can causes a reflection on your skin.